Contrasting array of Beveled Crystal create an elegant contemporary style that integrates seamlessly into today's interior design. 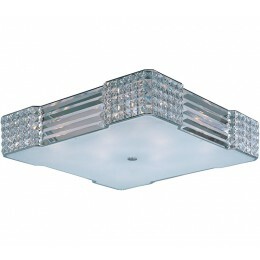 The Polished Chrome frame provides a touch of shimmer without competing with the brilliance of the crystal. 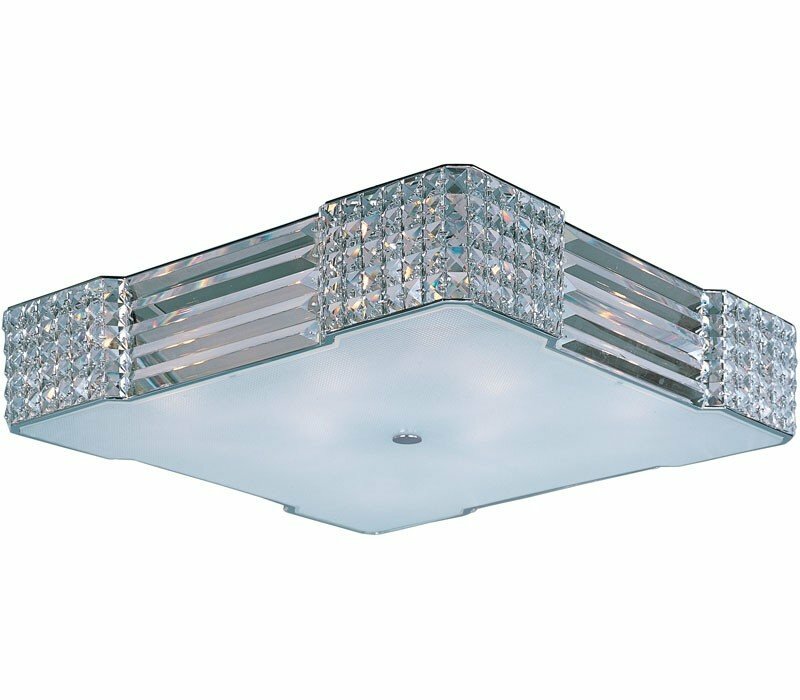 The Maxim 39781BCPC Manhattan collection Close to Ceiling Lighting in Polished Chrome uses Halogen light output and brings Modern style. The total wattage is 320 and the voltage is 120 volts. The Maxim Lighting 39781BCPC requires 8 bulbs (included). Additional Information: Shade-Beveled Crystal.